Fall is officially here and with the cooler weather comes the preparation for the holiday season. 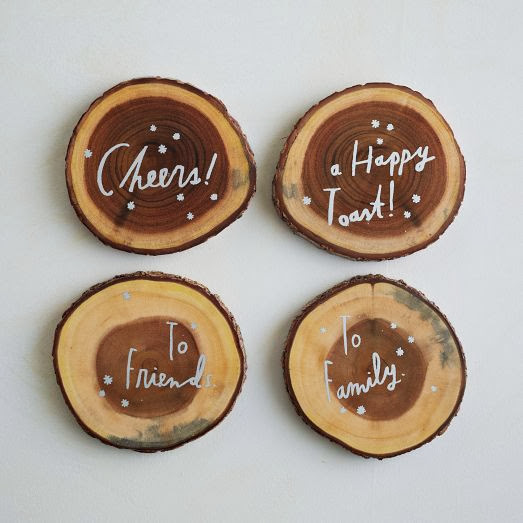 Yes, can you believe I am mentioning the holidays! 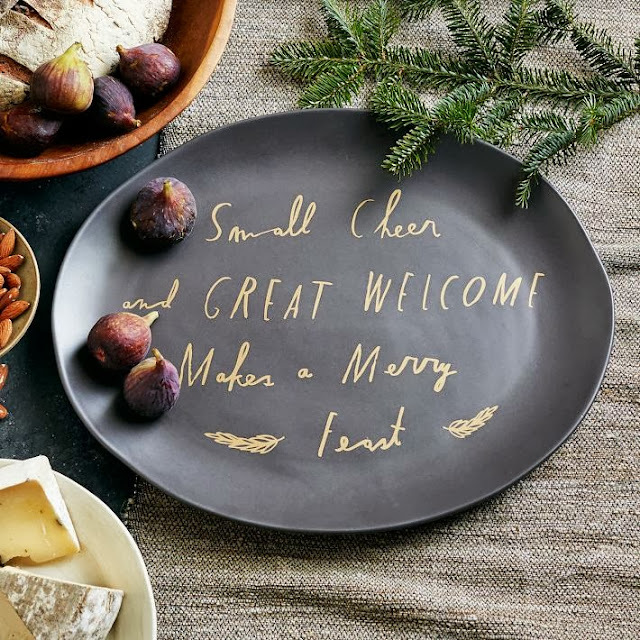 I first shared my complete admiration for Shanna Murray when I became obsessed with her decorative decals and again when I just saw her most recent collaboration with West Elm. 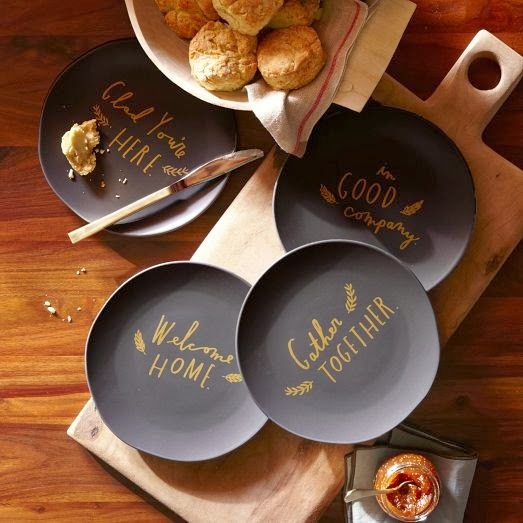 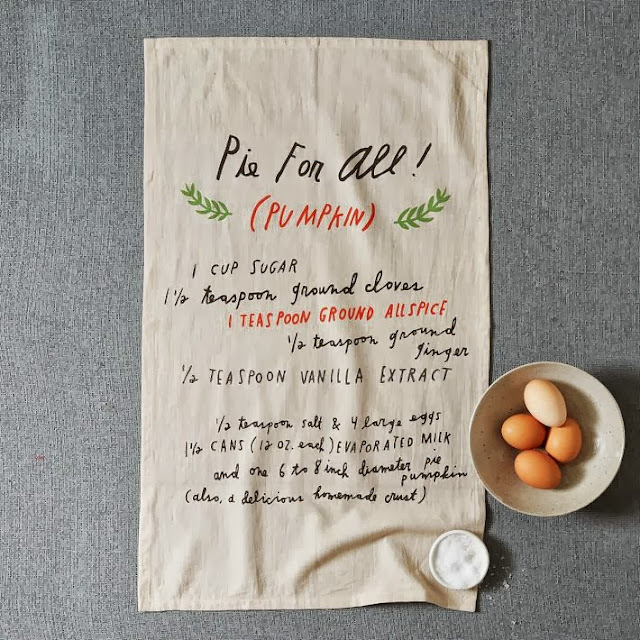 Just take a gander at the sweet statements and recipes artfully painted on the platters, tea towels, coasters and plates. 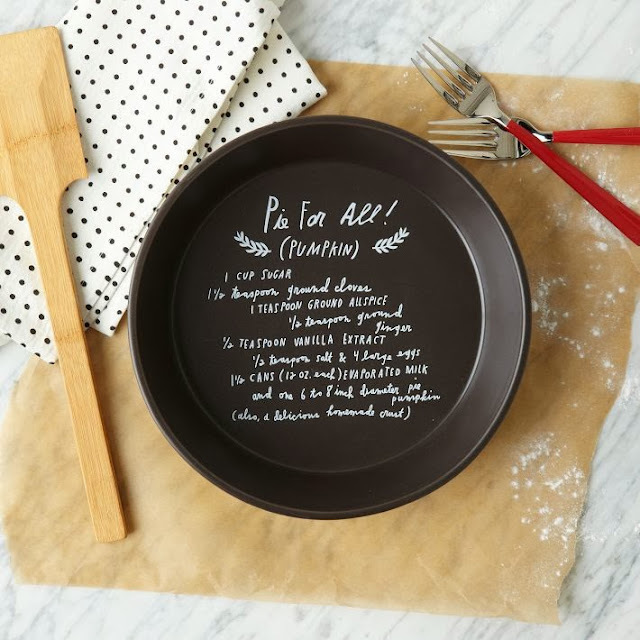 Such a thoughtful gift for a house warming or just because.